When I started writing in 2015, my son was 14 months old. He only was my inspiration to start writing. I used to write my own parenting experiences and everyday problems. In many of blogs, I shared my wisdom as a working mother. I also gave importance to share how my husband supported me all through being always there for me. 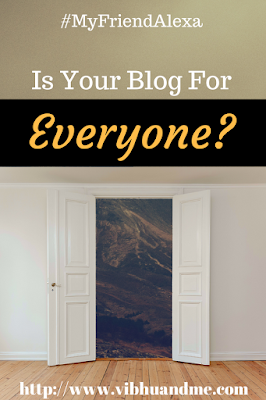 I never imagined that one day I would have my own blog and I would expand my horizons of writing. In 2017, I got my own blogging space with the name "Vibhu & Me". Vibhu is my son's name and he would always remain the biggest inspiration for my posts. Now I write in diverse subjects. 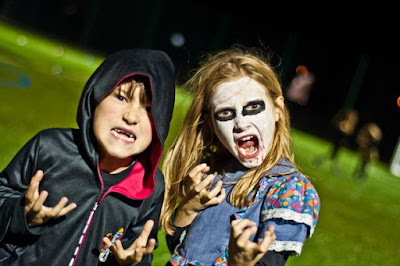 Parenting is, of course, my best-loved genre because I have practical insight there (I am a mother of a naughty boy). However, I love to write about Indian art, culture, cuisines, folklore, and mythology. Because this way I research a lot and reading about India and Indian culture always make me spirited. I also feel confident in expressing my views on relationships and social issues. And a few of my blog posts belong to these two categories. Stepping one more feat, this year I am taking part in #BlogchatterA2Z. Although the contest is not new for me. Last year also I read so many posts those were part of #AtoZChallenge. However, I got late in getting myself registered and when this year's #BlogchatterA2Z was announced, without any delay I registered myself. I really like to take this challenge. And as today is the theme reveal, I would really like to say it aloud. No, I am not going to give relationship mantras. Rather, my theme is to let everyone know about the spices available in India. It is hard to imagine cooking without spices in our country. Isn't it? Spices are known as one of the most remarkable ingredients of the Indian cuisine all around the world. They are natural flavoring elements that not only gives our food that special taste, but also enrich our food with medicinal properties. Remeber having a ginger tea for all your cold- cough troubles? 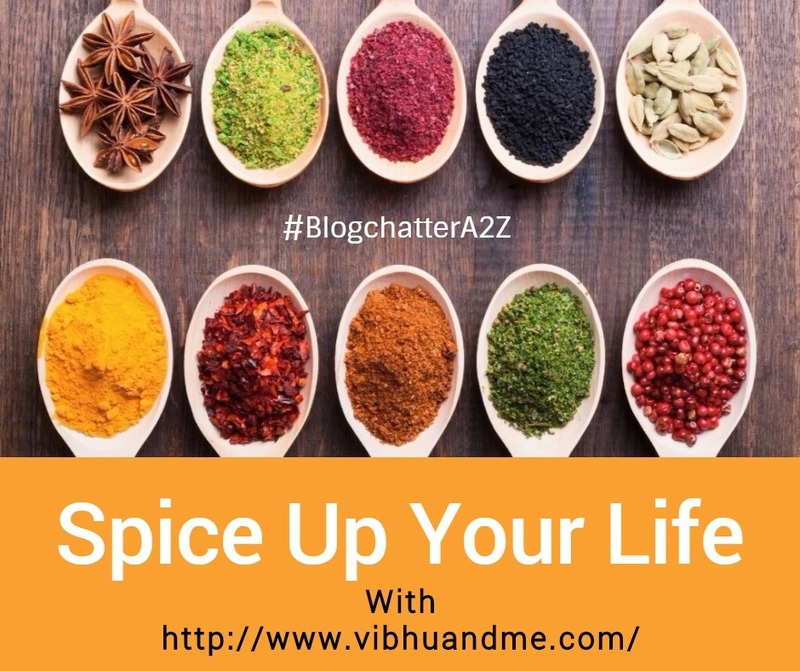 In my journey of #BlogchatterA2Z, every day I would talk about spices and try to list their benefits in different forms. I admit not all spices I have used in my cooking. But I know many because my father's maternal grandfather was a Vaidya. And in Ayurveda, spices are heavily used for curative and therapeutic benefits. I have seen Chavanprash getting made in my house and that too with 100 different ingredients. So, starting from A to Z, I would pick one (or more) spice and will let you know about it in brief. Some of the common ones you already know. But, a few would be completely new names for you. So, be with me during #BlogchatterA2Z. I am sure you would love it. This is one of the most interesting themes I've come across, Shipra. I love experimenting with different spices in food and admit that I don't know about their medicinal value much. This is going to be very informative. Looking forward to some Spicy posts! Happy AtoZ! Looks like this is going to be a spicy affair!!! We all use them in everyday cooking but frankly speaking not everybody is aware of their benefits, at-least me except for a few. I look forward to read about spices. Great theme. Looking forward to read your posts. An interesting theme. Interesting theme, Shipra. Eager to know about various different spices and its uses. Nice theme shipra, Looking forward to reading more from you. Wow an interesting theme. Look forward to all spices here. Spice it up here! !